I moved to Ruislip back in August and immediately noticed that this large and important suburb was entirely missing its own superhero. I have decided it is my civic duty to fill this clear gap. I am, therefore, going to transform myself into… Ruislip Man. Here’s my first publicity photo. I think you’ll agree it’s pretty heroic. Hopefully, once I’ve saved a few old ladies trying to cross the street and rescued a few cats from trees, Ruislip Man will be a household name, paving the way for a lucrative range of spin-off toys, stationery and action figures. Incidentally, I’m now recruiting for a sidekick. Let me know if you’d like to apply and what your suitably suburban superhero name would be. Knife Strike! That’s my sidekick name. Ruislip Man and Knife Strike. Yes. I like that. Though I’d advise you not to carry an actual knife as the police take a dim view of that round here. You need to work on your heroic face, you look more like a disgruntled stranger. Which leads me on to my sidekick name… Disgruntled Stranger. That’s not my heroic face. I am looking stern, so that villains and neer-do-wells understand what a dim view I take of their antics. 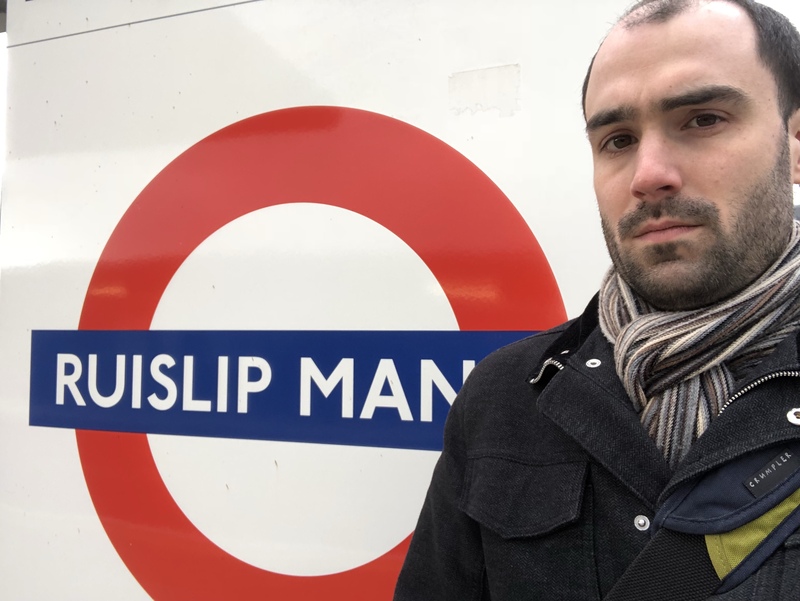 Ruislip Man will avenge their wrongdoing. You’d take a dim view on anything with a face like that. If you’re going to promote yourself you need a PR man. I’m that man. I’ve got PR pumping through all holes 24hrs a day, baby. That sounds like the most repulsive PR I’ve ever heard of. Count me in. On behalf of myself and Disgruntled Stranger, welcome to the team. Damn, that is one brilliant catchphrase. I need a catchphrase. I like “Northwood and Pinner”, but it might work better as the title of a gentle daytime TV drama about two solicitors. How about “I take a dim view of your antics”? My MP is Boris Johnson and I would prefer not to correspond with him. What do we all think of “come along now, there’s a good chap”? I looked at that, left it, came back and it still isn’t working for me. I could recycle one of the rejected slogans for the New Beans. What about: “whooooops!”? I think Kev’s attempt is good although it should end with “… bad boy!” so you can really camp it up big style. You’d sound more like Penfold (i.e. the sidekick) if you chose that. Avoid, avoid like a woman crying on some stairs. Well, OK. How about “avoid it like a woman crying on some stairs!”? It works for me, but then again most things work for me. As long as they don’t make sense. Which is almost everything. And the structure of these sentences. And the wetness. And the wetness. And the wetness. He’s the one who sneezed. …on some stairs and made a woman cry? So why is Chris dressed like a woman, crying on some stairs whilst a man called Andy Wet Nurse sneezes on him?